Thom Avery is a founding Member of the St. Louis office, representing corporate entities and individuals in a wide variety of litigation matters. He has extensive experience in complex commercial litigation, leading and guiding his clients from the initial consultation through trial and appeals. 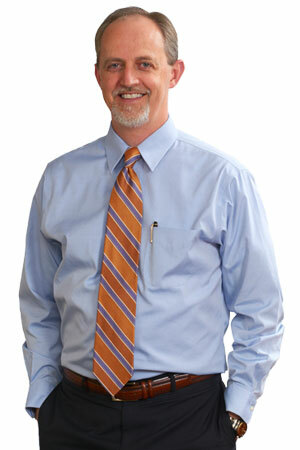 Thom is a recognized leader in Missouri on the subject of lender liability. He has extensive experience representing businesses and developers in disputes and litigation with banks and other financial institutions. On behalf of his clients, Thom has obtained large settlements from banks for lender liability, judgments voiding guarantees and negotiated favorable work-outs. Thom also represents national general contractors, designers and builders with respect to dispute resolution, arbitration and litigation relating to construction defect claims, contract dispute and mechanics’ liens. Thom is a member of the board of directors of Westminster Christian Academy and a former member of the Central Christian School Board. He is an active member of Central Presbyterian Church. UPDATE: Missouri Supreme Court denies Frontenac Bank’s Motion for Transfer in Frontenac Bank v. TR Hughes, et al.